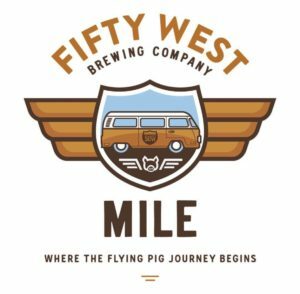 We’re excited to partner with Fifty West Brewing Company on the “Fifty West Mile,” the second of three races in the annual series. The Fifty West Mile serves as the official kickoff to the Flying Pig Marathon weekend and is dubbed “Where the Flying Pig journey begins.” The May 3 race begins at 8 p.m. near Paul Brown Stadium and snakes along the downtown riverfront to the finish line where participants will find Skyline Chili Cheese Coneys, Fifty West beer and an awesome after-party. Registration is now open for the Fifty West Mile at runbeerseries.com.